to 3 days under ideal growth conditions. Shiny’s NTbac line has been treated with a fungistatic agent that protects the product from fungal growth as well as retards the growth and action of bacterial odors. Reference U.S. Pharmacopeia 26 NF 21 Microbiological Tests (51) Antimicrobial Effectiveness Testing. 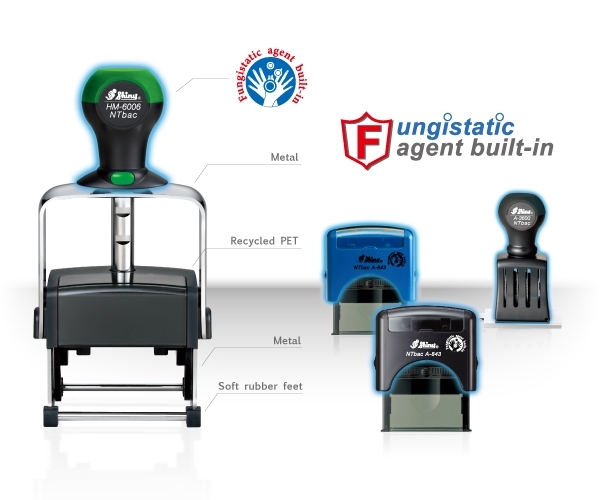 ★ This stamp has been treated with a fungistatic agent to protect the product from fungal growth. This agent also retards the growth and action of bacterial odors.